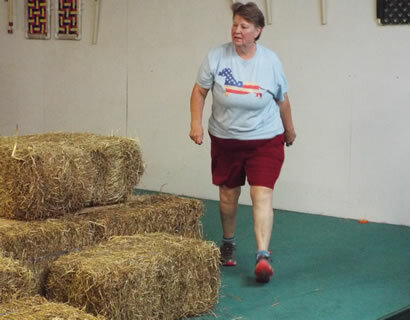 Jean MacKenzie’s Tova Training at 15 Freetown Road in Raymond, behind Ace Ben Franklin, Raymond Shopping Center, offers a variety of dog training classes and events, including some that are just for fun. 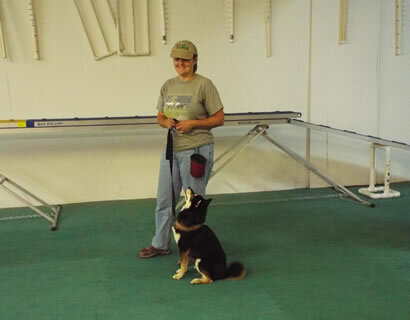 MacKenzie, the head instructor, has more than 30 years of experience with dog training. She focuses on individual dogs, their trainers, classes and events, and often acts as a judge for Agility, Scentwork and Wag It events. MacKenzie noted she has a fully fenced outdoor ring in Auburn. MacKenzie has been an instructor in the Professional Animal Care Program at Mount Ida College and has done program development and training for the kennel dogs at Mount Ida College Veterinary Technician School and at the Providence Animal Rescue League. She was a member of the first USDAA (United States Dog Agility Association) Board and is a USDAA judge and co-instructor of Judge's Clinics for USDAA, and is a former NADAC (North American Dog Agility Conference) and AAC (Agility Association of Canada) judge. She is currently a judge for the USDAA, CPE (Canine Performance Events) and Wag It Games. She has had experience working with and training a variety of breeds. 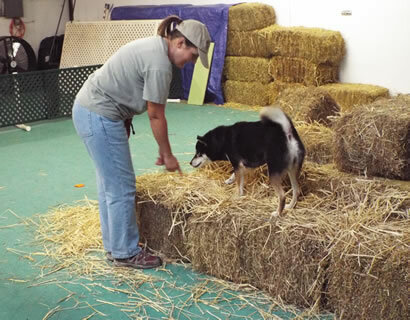 In addition, she was an independent contractor at All Dogs Gym for 14 years, where she taught agility, flyball and jump classes and organized and supervised agility trials and flyball tournaments, as well as delivering clinics on agility training and flyball skills. Tova Training offers clinics, classes and private lessons in agility, flyball, K9Nosework, Treibball and Wag It Games. And MacKenzie breeds and exhibits longhaired whippets and is president of the International Longhaired Whippet Club. She continues to enhance her education and is currently registered in the Online Veterinary Technician Program for Penn Foster College, with the goal of becoming a Certified Animal Physical Therapist. 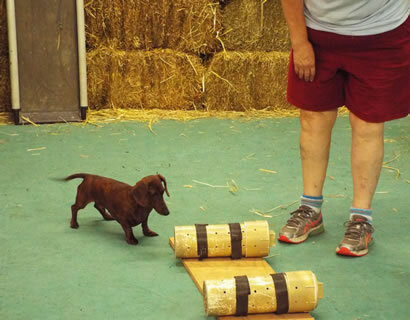 The Just for Fun Dog Training at Tova Training includes classes in Puppy and Adult Manners, Agility, Rally, K9 Nose Work, Barn Hunt, Wag It Games, Dog Ball and Competitive Obedience. "Everyone is welcome, from serious competitors to those training just for fun," she said. In addition to classes in the various training disciplines, Tova Training also sponsors Barn Hunt, Performance Scent Dog, Rally, TDAA (Teacup Dogs Agility Association), and USDAA Intro and VALOR Agility Trials. She offers private and small group lessons as well. 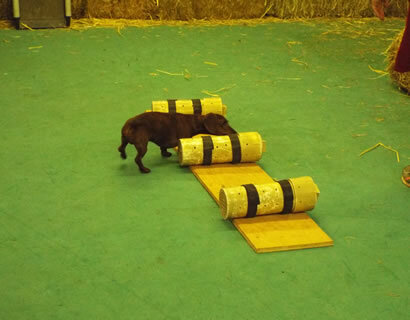 Tova Training agility classes are directed at a variety of levels, including novice competition, advanced competition, and beginner and advanced agility. Her training and obedience classes include puppy manners and socializing, adult manners and socializing, competition obedience, rally introduction and competition rally. Nose work classes include introduction to nose work, introduction to odor, continuing nose work, continuing competitive nose work and puppy nose work. A dashund getting the scent of what it is searching for. 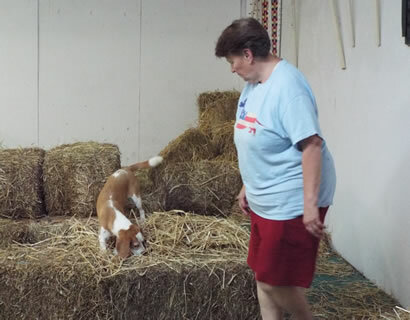 For the uninitiated, MacKenzie described a Barn Hunt, an event where rats are placed in a PVC tube with sealed ends and hidden in a bale of hay among many other bales. The dogs try to find the PVC tube containing the rat. MacKenzie said terriers are most adept at this in that they instinctively want to catch the rat, but other breeds can be taught to participate. The difficulty of finding the correct PVC tube increases as dogs progress from novice to advanced. This beagle really enjoys sniffing for the tube with the rat in it. She has nose work classes weekly and holds a trial once a month. These classes teach dogs to hunt for food, then to associate the hunt for food with an odor, and to find the odor to get their food reward. Shiba Inu James and Eunice Giles getting ready to Barn Hunt. Ongoing classes may be started anytime, with eight weeks to complete six class sessions. Classes with dates must be started within a week of the start date. Classes cost $115 for each six-week session; with the instructor’s permission, drop-ins are $25 per class. The public is welcome to stop by and watch classes and learn what Tova Training has to offer. For upcoming events, visit the Tova Training website . For more information email: tovatraining@gmail.com or call (603) 724-8745. James starts searching for the tube with the rat in it. James has successfully found the tube and the rat stays safe inside. The pet rat is NOT harmed. It is safely locked inside the tube that the dogs are searching for.